Oven & Rangehood Cleaning – If you’ve just had your oven cleaned by a professional, you’ll know what an amazing result is achieved and you almost won’t want to use the oven to spoil the look of its ‘good-as-new’, clean. 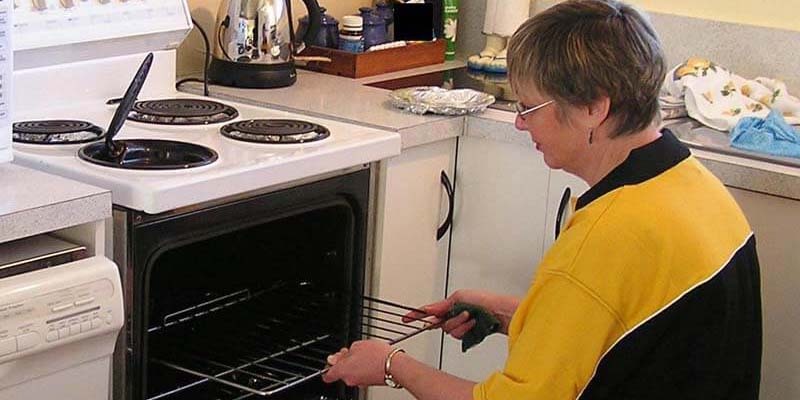 Line the bottom of the oven – You can buy special liners from places such as Bunnings or Mitre 10, but to be honest, you can create your own version at home quite easily using a baking tray covered with tin foil, which you can simply replace when dirty! Wipe up any mess ASAP – Obviously you need to make sure it is safe to do so, so wait until the oven has cooled down enough, and then wipe off any spills as soon as they happen to ensure they don’t become burnt on in future and therefore harder to remove in the long-run. I use a degreaser called La’s Totally Awesome which most $2 shops and The Warehouse. Cook roasts in a roasting bag – Not only do roasting bags lock moisture into the meat your cooking – increasing the flavour and taste, but they also ensure fat doesn’t get splashed around the inside of your oven, which in turn causes a nasty, lingering smoky smell that is very tricky to get rid of and may taint any subsequent cooking! Put a lid on it – Adding a lid will help to stop any potential spills, which can happen all too easily from food boiling over the sides of dishes. Keeping your oven clean keeps your food tasting at its best and minimises are potential hazards such as fires caused by spilt residue. Take out the filters and you can spray with a degreasing products but to be honest soaking in dishwashing liquid and hot water will remove most of the oil. Cleaners are available in all regions: Auckland, Hamilton, Tauranga, Taupo, Rotorua, Wellington, Christchurch, Ashburton, Timaru and Dunedin.